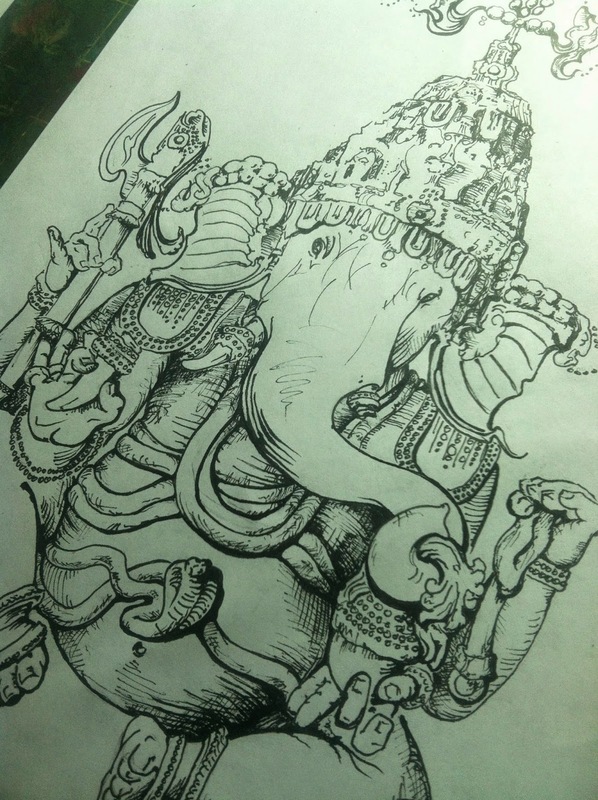 Home /Design Projects/Hand Drawn Ganesh T Shirt Design – Behind the Scenes Look! 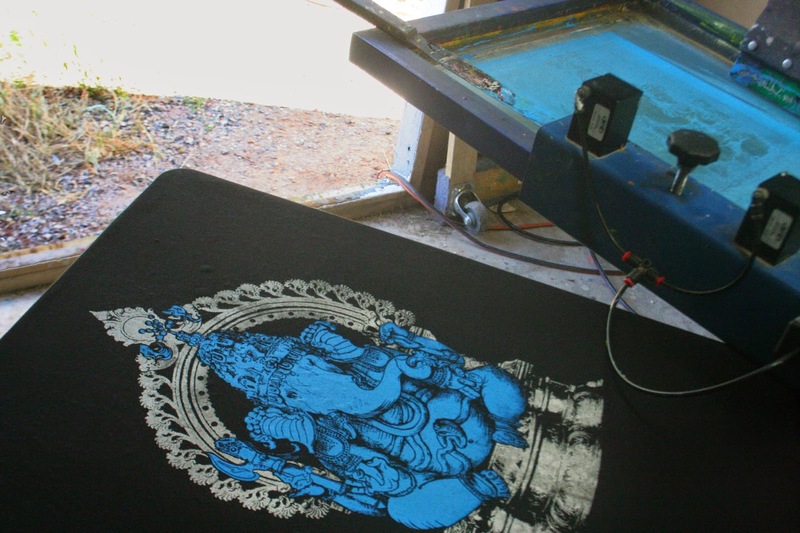 Hand Drawn Ganesh T Shirt Design – Behind the Scenes Look! 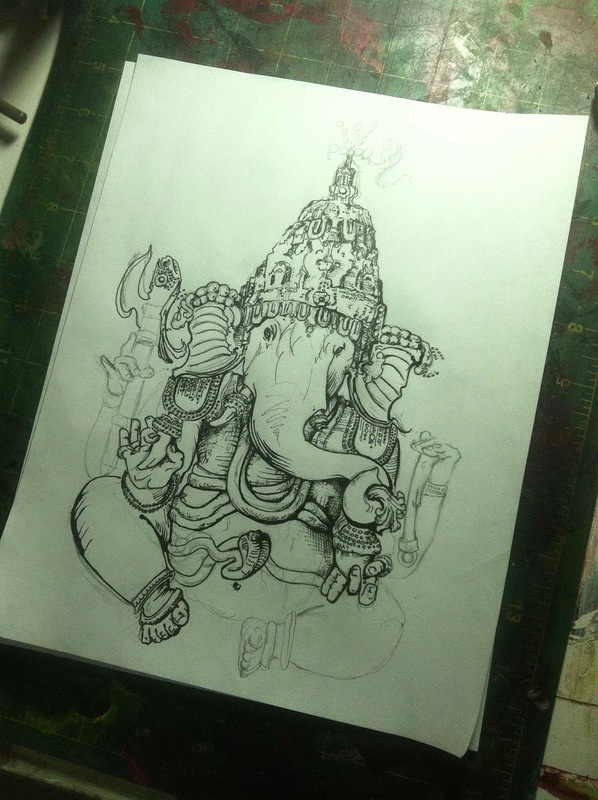 Please enjoy this “behind the scenes” look at the process involved in the creation of my hand drawn Ganesh T Shirt design. Somewhere along the line in my drawing career (if you can call it that), I have become impatient. I noticed this unsettling fact a few years ago but kept on doing things in my normal, fast way. I found that I was no longer satisfied with the work I was creating in my old way. As a response, I have been challenging my patience with projects involving higher demand on my concentration and loads more time than I used to. I find that taking a new approach by incorporating a greater amount of detail has refreshed my interest in drawing. 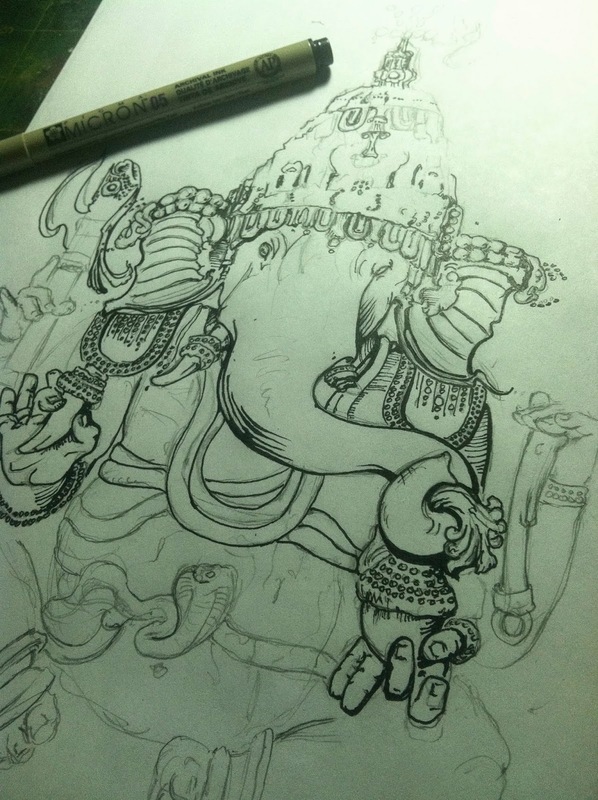 Taking on the challenge of creating a Ganesh shirt design proved to be just the challenge I was looking for. 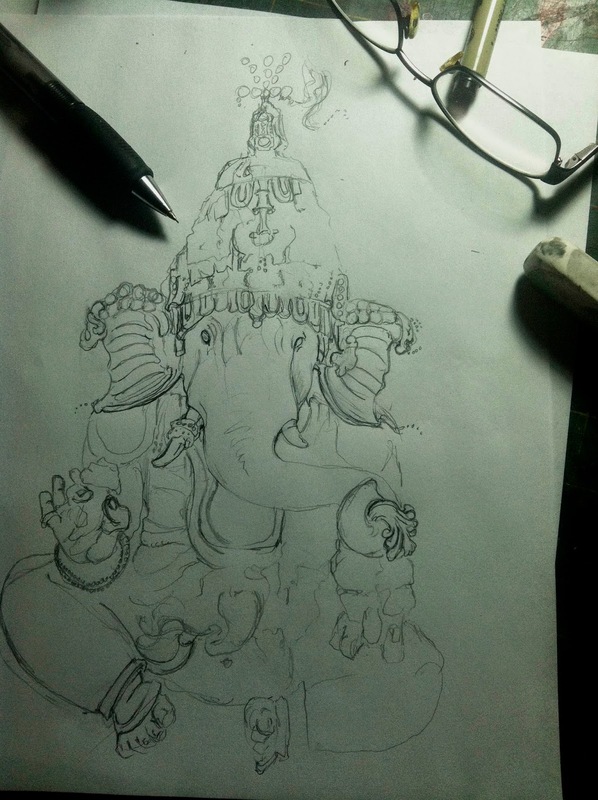 This drawing of Ganesh was intended to increase my mindfulness and push my patience. Here, you can see the progress from beginning to end. Follow the process as I worked from drawing to screen printed t shirt design. As with any drawing project, I began with a pencil drawing. Since this is going to have a lot of detail, I want to get most of it down before spending the time inking. As a sort of creature of habit, I always draw with one of the same two .5 mechanical pencils I have used for years. My favorite is the Sakura which is very comfortable to draw with. Also, I always keep a white plastic eraser around as they are the only ones that actually work. 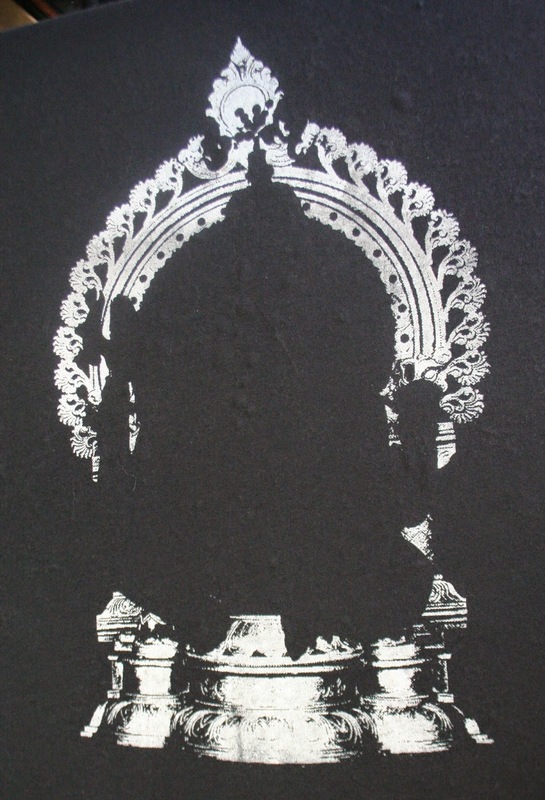 I make stencil from a film positive version of my drawing by burning it to a screen. 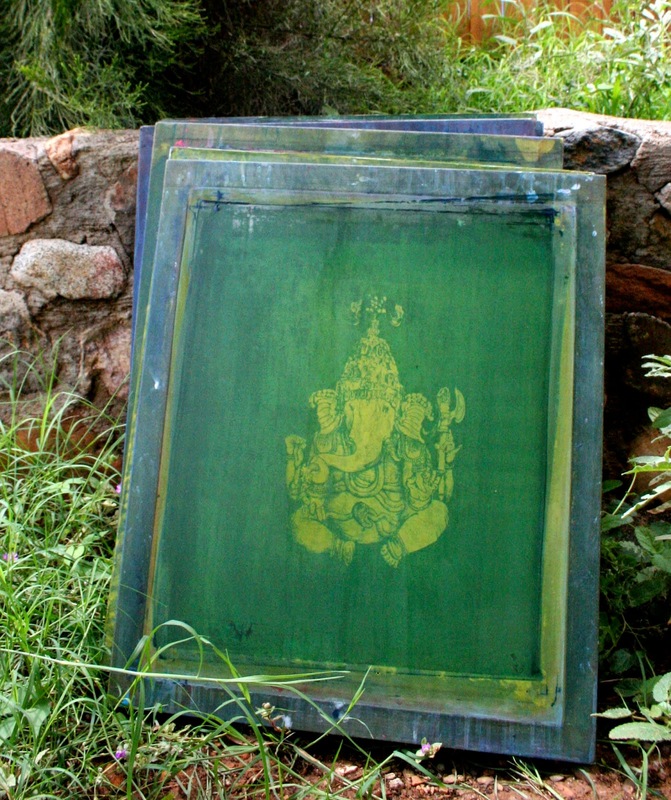 This is the screen ready to print a Ganesh Shirt. 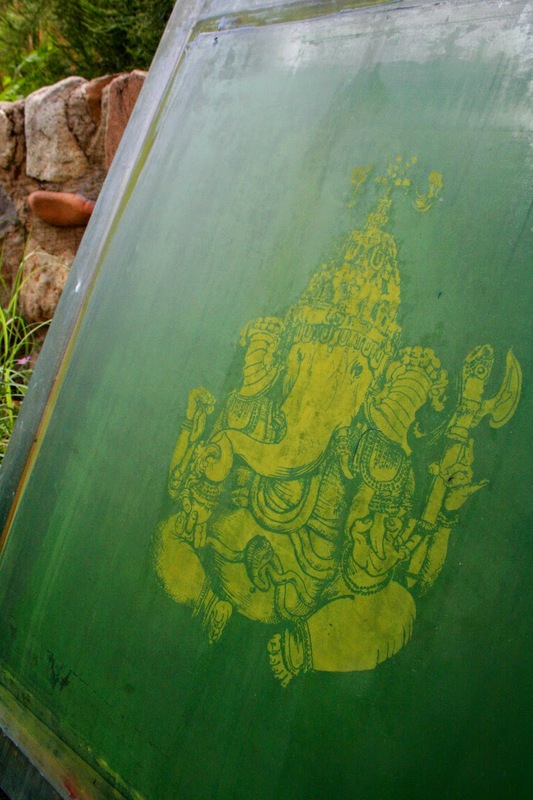 You can find this Ganesh T Shirt available in styles for Men and Women in the Closet of Mysteries shop.